Ida V. Moffett School of Nursing, Samford University:"When the Birmingham Baptist Association acquired the Birmingham Infirmary in 1922, twelve nursing students were enrolled in The Nurses Training School. Staff doctors and the Superintendent of Nurses taught classes while patient care was given under direction of graduate supervisors. This marked the beginning of the Ida V. Moffett School of Nursing as we know it today. After 46 years of service, Birmingham Baptist Hospitals School of Nursing became the Ida V. Moffett School of Nursing, named for its visionary and dedicated leader of many years." Idaho State University / Department of Nursing:"The Bachelor of Science in Nursing (BSN) degree is a critical first step for a career in professional nursing. The American Association of Colleges of Nursing (AACN), the national voice for baccalaureate and graduate nursing programs, recognize the BSN degree as the minimum educational requirement for a professional nursing practice. Recommendations by AACN state that education has a significant impact on the knowledge and competencies of the nurse clinician." Illinois Central College / Nursing Program (ADN):"Imagine the possibilities available to you as you pursue your career path in your selected Health or Public Services Career. Our department offers over 16 Health Careers Programs and Public Services Programs, along with the Police Training Center. Some of the courses of study lead to the Associate in Applied Science degree while others lead to a Certificate of completion. Devoted, dedicated and disciplined are characteristics of good health professionals and public service personnel." Illinois Eastern Community College / Olney Central College:"Licensed practical nurses (LPN) who graduated from schools other than Illinois Eastern Community Colleges and IECC LPNs completing first-year courses three or more years prior to readmittance must successfully complete NUR 1204 before entering the second year for registered nurse (RN) preparation." Illinois State University / Mennonite College of Nursing (BSN, MSN):"The mission of Mennonite College of Nursing is to educate undergraduate and graduate nursing students to serve the citizens of Illinois, the nation, and the global community. Mennonite College of Nursing acknowledges a particular responsibility to address the nursing and health care needs of urban and rural populations, including those who are vulnerable and underserved." Illinois Valley Community College / Nursing Program:"The Associate Degree (AD) Nursing Program at Illinois Valley Community College is approved by the State of Illinois, Department of Professional Regulation and accredited by the National League for Nursing Accrediting Commission*. The AD Nursing Program qualifies the nursing graduate to take the NCLEX-RN examination and for licensure in the state of Illinois or any other state." Illinois Wesleyan University / Nursing Program:"Illinois Wesleyan University's School of Nursing offers a quality program of baccalaureate nursing education in the distinctive setting of one of the nation's premier liberal arts colleges. This uncommon integration of liberal arts and professional study prepares nursing students for rewarding careers and for lives of consequence." Immaculata College / Nursing Program (BSN, MSN, PhD):"The mission of Immaculate University embraces a commitment to provide undergraduate and graduate education both to men and women by offering programs at the associate, bachelor's, master's and doctoral levels. These programs seek to prepare individuals for professional careers focused on service and the fulfillment of human potential. Immaculate's programs at the graduate level in the areas of education, nutrition education, psychology, organization leadership and healthcare, music therapy and cultural and linguistic diversity reflect the commitment to service professions and cultural sensitivity." Imperial Valley College:Medical Programs available:Emergency Medical Technician, Emergency Medical Technician-Paramedic, Fire Technology, Health Assistant, Health Technologies, Nursing. Indian Capital Technology Center / Nursing program (LPN):"Indian Capital's Practical Nursing Program consists of classroom, laboratory, and clinical instruction. Area health care agencies such as hospitals, long-term care facilities, clinics, and home health agencies are utilized through the course for clinical practice. Practical Nursing Education Programs are available on the Muskogee, Sallisaw, Stilwell, and "Bill Willis" Tahlequah Campuses of Indian Capital Technology Center. Successful completion of the Practical Nursing Program will qualify graduates to take the National Council Licensure Exam for Practical Nurses (NCLEX-PN). Upon successful completion of NCLEX-PN he graduate will be licensed to practice as a Practical Nurse." Indian River Community College / Nursing Program:"We have graduated over a thousand individuals who are now a part of the Treasure Coast Health Care team, caring for hundreds of patients every day. Some of our program graduates have gone on to become, department heads, researchers, nurse practitioners, nurse anesthetists, hospital administrators and college nursing faculty." Indiana State University / School of Nursing (ASN, BSN, MSN):"To meet the needs of a diverse society, the College of Nursing provides education at various levels using multiple delivery methods. The academic programs encompass the associate degree program and the baccalaureate and higher degree programs. As part of our dedication to life-long learning, the College of Nursing assists nurses in maintaining and developing competencies in nursing by offering continuing education programs." Indiana University / School of Nursing (ASN, BSN, MSN, PhD):"Founded in 1914, the Indiana University School of Nursing has grown into the largest school of nursing in the country. It offers the full range of degrees in nursing, from associate through doctoral, and actively seeks to promote progression of nursing careers by facilitating continuing education and transitions across all levels of nursing preparation. The IU School of Nursing is one school with various programs on eight campuses - Bloomington, Indianapolis, Columbus, Gary, Kokomo, Richmond, South Bend, and New Albany. The Bachelor of Science in Nursing (BSN) degree is available on the Bloomington campus." Indiana University East / Division of Nursing (BSN):"Indiana University School of Nursing has a proud past and a promising future. Since the founding of the Indiana University Training School for Nurses in 1914, we have evolved into a statewide, multi-site school with offerings on eight campuses of Indiana University. IU East is one of those locations. Collectively, we share a proud heritage of excellence that includes the founding of Sigma Theta Tau International, nursing’s honor society; a longstanding commitment to facilitating lifelong learning, and being on the cutting edge in teaching, research and service. IU East shares the breadth and depth of this excellence." Indiana University Kokomo / Division of Nursing:"The School of Nursing at IU Kokomo began in 1967 with the authority to offer the Associate of Arts in Nursing Program. However, during 1976-77 the curriculum was determined to be more oriented to sciences than art, therefore the degree was changed to an Associate of Science with the 1977 graduating class. To facilitate student mobility toward higher degree attainment, the RN to BSN Transition Program began in 1986; the LPN to ASN Transition Program began in 1987; the (basic) Bachelor's in Nursing Program (BSN) began in 1988, and the Master of Science in Nursing Degree Program for the Clinical Nurse Specialist in Community Health began 2003." Indiana University Northwest / School of Nursing:"At the Indiana University School of Nursing, our mission is to build on the values of Indiana University and the profession of nursing as they relate to teaching, research, and service. We are committed to improving the health of the citizens of Indiana, the nation, and beyond by meeting society's need for effective nurses at different educational level as and by contributing to the body of knowledge that provides the basis for practice in a range of settings." Indiana University of Pennsylvania / Nursing Program (BSN, MSN):"The College of Health and Human Services offers a curriculum leading to the Bachelor of Science degree in Nursing. Students are admitted to the nursing major as freshmen. Transfer students and those with a previous degree may also be admitted. Upon completion of the program, the graduate is prepared to write the examination for licensure as a Registered Nurse in Pennsylvania and all other states. The program is accredited by the Commission on Collegiate Nursing Education." Indiana University - Purdue University (BSN, MSN, PhD):"Since its founding in 1914, the Indiana University School of Nursing (IUSON) has evolved into the largest multi-purpose nursing school in the country. IUSON offers a full range of academic degrees—the Associate of Science in Nursing, the Bachelor of Science in Nursing, the Master of Science in Nursing, and the Doctor of Philosophy in Nursing Science—in addition to postdoctoral research training and extensive continuing education offerings." Indiana University, South Bend School of Nursing:"For some, the new semester means time for books and studying, meeting professors, making new friends, and reuniting with old friends. We welcome all of you to this new academic semester. It is the excellent student body which has made our program so highly valued in the community. Have a great academic semester!" Indiana University Southeast / Division of Nursing:"The Division of Nursing offers an undergraduate program leading to a Bachelor of Science Degree in Nursing. Our educational process assists students in becoming competent and true partners in meeting the current and future health needs of society. I am proud of the contributions faculty and graduates make to improve health and health care." Indiana University Southeast (New Albany) Division of Nursing:"The mission of Indiana University Southeast division of Nursing is to create a community of learning that addresses society's need for caring professionals and that nurtures students, faculty, and staff from diverse backgrounds. Purpose: The baccalaureate program prepares competent, professional nurses to meet current and future societal health care needs. Program graduates function as practitioners and leaders in acute and long-term care, community settings, homecare and non-traditional settings. The creative curriculum provides a foundation for graduate study. The graduate possesses a broad knowledge of the humanities, biological and social sciences, and nursing. As a beginning practitioner the graduate applies well-developed problem solving skills in caring for individuals, families and communities." Indiana University / Purdue University at Fort Wayne (ASN, BSN, MSN):"IPFW graduates are prepared to meet the challenges of an exciting career in nursing. 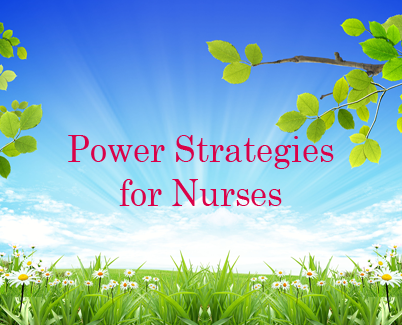 Nurses have challenging careers resulting in life-saving benefits to humankind. The opportunities for nurses are endless and flexible. While most people are familiar with traditional places of employment for nurses, such as hospitals and long-term care facilities, nurses also have careers in home-health nursing, rehabilitation, ambulatory facilites, and unique areas such as flight and forensic nursing." Indiana Wesleyan University / Division of Nursing (BSN, MSN):"The Division of Nursing Education offers a Bachelor of Science degree with a major in nursing. Graduates are eligible to take the national licensure exam to become registered nurses. The program is accredited by the Commission on Collegiate Nursing Education, the only agency devoted exclusively to the accreditation of baccalaureate and higher degree programs." Iowa Central Community College / Nursing Program (CNA, LPN, ADN):"The Associate Degree Nursing (ADN) program is committed to providing quality nursing education to aid students to meet their diverse learning needs in preparing for a career as a Registered Nurse.The Associate Degree Nursing (ADN) Program prepares students for entry-level positions in nursing. The Associate Degree Nursing program will educate you for this career in concentrated classroom studies along with extensive clinical work (720 hours) based in a wide-range of health care settings." Iowa Wesleyan College / Division of Nursing:"Students who satisfactorily complete all requirements for the nursing major will graduate with a Bachelor of Science in Nursing degree (BSN). Graduates are eligible to take the National Council Licensure Examination (NCLEX-RN). Successful completion of this examination will result in the licensure as a Registered Nurse. The Nursing Program is approved by the Iowa Board of Nursing and accredited by the National League for Nursing, Accreditation Commission." Indiana Wesleyan University (Louisville)/ Nursing Program (BSN):"Welcome to the home page for the RNBS Completion Program! In this program, nurses join together in a cohort group and take all of their nursing major core classes together. The courses or modules are taken one at a time in sequence and the major can be completed in about 19 months. We designed this program specifically for adult learners who prefer guided independent study, minimal lecturing, practical professional application, and a colleague relationship with both faculty and other students. Classes are held at approximately 15 sites throughout Indiana as well as Louisville, Cleveland, Cincinnati and Dayton." Intercollegiate College of Nursing / Washington State University College Of Nursing (BSN, MSN, RN to MSN):"The baccalaureate program is designed to meet the educational needs of basic nursing students. The nursing curriculum builds on prerequisite and general university requirements to provide the professional knowledge, skills and values essential to the practice of nursing. The first two years of the curriculum are completed at Eastern Washington University, Gonzaga University, Whitworth College, Washington State University or any institution offering equivalent courses. The last two years are provided at the Intercollegiate College of Nursing/WSU College of Nursing in Spokane, Yakima and beginning in Fall 2004 in the Tri-Cities." Inver Hills-Century Colleges / Nursing Program (ADN):"Thank you for your interest in the Inver Hills-Century Colleges Associate Degree Nursing Program. The Nursing Program is jointly operated through a unique, cooperative arrangement between Inver Hills Community College and Century Community & Technical College (merged college – Lakewood Community College and Northeast Metro Technical College.) The colleges, separated by twenty miles in the suburbs of St. Paul, Minnesota, operate the jointly-sponsored Associate Degree Nursing Program." Iowa Western Community College / Nursing Program (LPN, ADN):"Welcome to Iowa Western Community College, the college small enough to give you the personal attention you deserve, and large enough to offer a broad range of academic programs and extracurricular activities. Come discover why Iowa Western is the right choice for you!" Itawamba Community College / Division of Nursing (PN, ADN):"Practical nurses provide general nursing care under the direction of a physician, registered nurse or dentist. This twelve-month certificate program prepares students for a career in practical nursing, and upon successful completion of the program enables them to write the National Licensing Council Examination to become credentialed as a Licensed Practical Nurse." Ivy Tech offers degree programs at 23 campuses in 14 administrative regions. Ivy Tech State College Region 1 / Nursing Studies (LPN and ASN ):"Ivy Tech State College has educated students in Lake, LaPorte, Porter, Pulaski, Jasper, Newton and Starke counties since 1968. It is part of the 14-region statewide Ivy Tech State College system - the second largest and fastest growing public higher education system in Indiana." Ivy Tech State College Region 2 / Nursing Studies:"Ivy Tech State College offers an Associate of Science (AS) nursing program that is accredited by the National League for Nursing Accrediting Commission. Graduates are eligible to write the NCLEX-RN exam to become registered nurses. This program accommodates both students interested in nursing as a career, and licensed practical nurses choosing to continue their nursing education. The program transfers into the bachelor’s degree nursing program at IU South Bend." Ivy Tech State College Region 3 / Nursing Program (LPN, ASN):"The Associate of Science in Nursing (ASN) is designed to accommodate two groups of students: those who are entering a nursing program for the first time (traditional students) and those licensed practical nurses (transitional students) seeking educational mobility to the associate degree level. Traditional students are required to complete 40 hours of nursing courses over two years (four academic semesters) as well as 28 credit hours of general education courses." Ivy Tech State College Region 4 / Division of Health Sciences:"Ivy Tech State College offers a Nursing program approved by the Indiana State Board of Nursing and accredited by the National League for Nursing Accrediting Commission. If you are already an LPN, you can take the LPN Track to become an RN. Students who successfully complete the program will receive an associate of science degree in Nursing." Ivy Tech State College Region 5 / Nursing Program:"The Associate of Science in Nursing program is available to students who have no previous nursing education (Traditional Program) and provides LPNs with a program that will lead to the associate degree level (Transitional program). Graduates of the ASN program are eligible to apply to write the NCLEX-RN to become registered nurses." Ivy Tech State College Region 6 / Nursing Programs (LPN, ASN):"In just over 40 years, Ivy Tech State College has become Indiana's second-largest post-secondary institution, serving nearly 100,000 students in 2002-03.Founded in 1963 to provide vocational and technical education, the college has experienced a huge transformation in recent years." Ivy Tech State College Region 7 / Nursing Program (LPN, ASN):"The Practical Nursing at Ivy Tech will prepare you to take the state licensing exam so you may become a Licensed Practical Nurse. As a student of the program, you will study anatomy and physiology, pharmacology, nutrition, medical/surgical nursing, maternal/child nursing and geriatric nursing. ASN (Terre Haute Campus)As a student you will study areas such as anatomy and physiology, pharmacology, nutrition, medical surgical nursing, maternal/child health and geriatric nursing. You will be exposed to a variety of instructional styles including lecture, labs, and clinical. A special focus is placed on the clinical portion of the program to ensure you have adequate first-hand experience prior to graduation." Ivy Tech State College Region 8 / Nursing Program:"Students can earn an Associate of Science in Nursing from Ivy Tech State College-Central Indiana. The program is comprised of two tracks, the traditional track for students without LPN licensure and the track for those students who currently are licensed as LPNs and who are proceeding through the educational network to attain Registered Nurse licensure." Ivy Tech State College Region 9 / Nursing Program (LPN, ASN):"The Associate of Science in Nursing (ASN) program is a selective admission program designed for the non-nurse and the licensed practical nurses seeking educational mobility to the associate degree level. Graduates of the ASN Program are eligible to apply to take the NCLEX-RN examination to become registered nurses." Ivy Tech State College Region 10 / Nursing Program:"Ivy Tech State College – Columbus offers a Traditional Associate of Science (ASN) nursing program and a Transitional (LPN to ASN) program which are accredited by the National League for Nursing Accrediting Commission." Ivy Tech State College Region 11 / Nursing Program:"The Associate of Science in Nursing program is a selective admission program designed to accommodate licensed practical nurses seeking educational mobility to the associate degree level. Graduates of the Associate of Science of Nursing program are eligible to apply to take the NCLEX-RN examination to become registered nurses. Students complete technical courses at Ivy Tech and may take general education courses either at Ivy Tech or at a regionally accredited institution." Ivy Tech State College Region 12 / Nursing Program (LPN, ASN):"You can do it all here at Ivy Tech State College! We offer more than 50 programs, specialties and career development certificates. And, through our Community College of Indiana partnership with Vincennes University, you can earn select Vincennes University degrees at our Evansville campus!" Ivy Tech State College Region 13 / Nursing Program (LPN, ASN):"The Associate of Science in Nursing program is available to the student with no previous nursing education (Traditional Program ) and provides the LPN mobility to continue their education to the associate degree level (Transitional program). Graduates of the ASN program are eligible to apply to write the NCLEX-RN to become registered nurses." Ivy Tech State College Region 14 / Nursing Program (LPN, ASN):"The Transitional option is available to students who have completed an LPN degree and have a license from the Indiana State Board of Nursing. This program begins every summer term (May). The Traditional option is available to those students who have no prior nursing training. This program begins every Fall semester (August)."